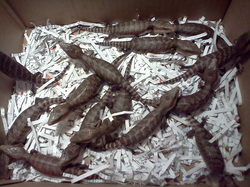 Please feel free to email me questions about your blue tongue skink. Remember, whether you purchase a bluey from us or somewhere else, we are always here to help with any questions or concerns you may have. In the event we don't have the answer, we can help you find it. We are northern blue tongue skink enthusiasts and strive to help people provide healthy and nurturing environments for these amazing animals.